Milestones: We’ve added a new task type in Asana. Now any task that’s being tracked in a project can be marked as a milestone to help visually organize large and complex projects. Learn how. Portfolio Progress View: As a part of Milestones, we’ve updated your Portfolio Progress View! You can now toggle between Progress percentage and Milestones to visualize the status of projects in your Portfolio. Forms: With forms, it’s now even easier to kick off work in Asana. You can add a form to a project to capture both the work request and all the information you need (including custom fields). 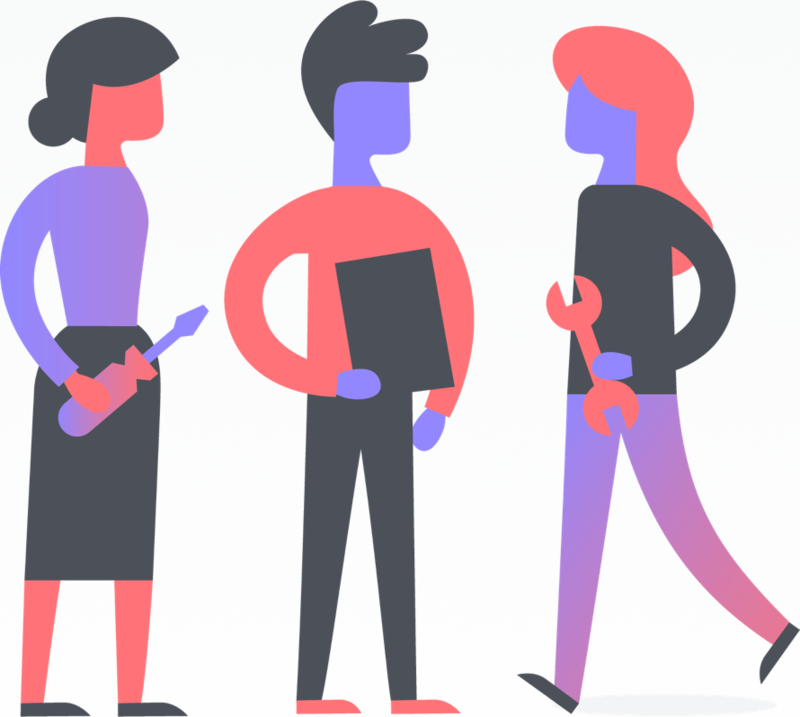 Forms can be shared with anyone, even an external partner not in Asana, and each submitted form will get added to your project as a new task that’s automatically assigned to the project owner — ensuring nothing falls through the cracks. Proofing: To help get stakeholder feedback faster, we’ve created Proofing in Asana. When you open an image file from a task on desktop or mobile, you’ll see an option to add feedback, which lets you click on a specific area and leave feedback about that part of the image. Your feedback will be added as a subtask and assigned to whoever uploaded the image. Custom Field Notifications: You can now toggle an on/off notification for custom fields. If a custom field has the notification toggled on and the value of the field is changed on a task, then all followers of the task will receive an Asana inbox + email (if email is on) notification. Approvals: With the addition of custom field notifications, we’ve also added Approvals workflows to Asana. Not knowing whether something is approved or not can lead to delays and frustrations — avoid this by tracking each stage of your process, adding our “Approval stage” custom field to your project, and turning on notifications for it. Whenever a task moves to a new stage, you’ll get a notification so everyone involved stays on the same page! Adobe Creative Cloud Integration: We’ve partnered with Adobe to launch the Asana for Adobe Creative Cloud integration. If you’re working in Adobe Photoshop CC, Illustrator CC, or InDesign CC, you can see new tasks, share design files, and incorporate feedback delivered in Asana without switching between the tools. Litmus Integration: Our new Litmus integration helps you better manage your email creation and testing workflows. By syncing your Litmus Checklist to Asana, you won’t miss any broken links or images before hitting send on your next email newsletter. Learn more about all the above here. Portfolios: Export to CSV: If you’re a Portfolio Lead who does not use Google Sheets, you can now export your Portfolio data! This CSV also includes the custom fields on projects that are set in the Portfolio view. Favoriting Portfolios: When you favorite Portfolios, they will now show up on Home, Portfolios Home, and in the Sidebar for easy access. Tasks Due Soon on Homepage: We added a section of “Tasks Due Soon” to the top of your Homepage to help you easily find high priority work. Timeline Sort by Assignee: You can now group tasks by assignee on Timeline so it’s easy to reassign work and keep projects on track. Calendar 2.0: Based on your feedback, we updated Calendar to be it faster and more customizable. Filter Advanced Search reports by start dates: You can now generate Advanced Search reports by start dates in addition to other project and task criteria. Clarified Quick Add button: The Quick Add button in the header now says “New” so it’s now easier to discover how to create new tasks and projects. Contextualized Quick Add button icons on iOS: The Quick Add + icon in the bottom right corner of the iOS app is now contextual based on where you are in Asana. For example, if you’re in the Projects tab, you’ll see an Add Project icon. Updated inline task creation for iOS: You can now set custom field values when you create a task inline in our iOS app. With less steps to create a task, you’ll have more time to get work done! Add / Create / Remove teams from a division: As an admin, you can now add and remove teams from your division right within Asana so it’s easier to manage members. Lock custom fields: You can now control who can edit custom field values across all your projects, so information is being tracked consistently, available in Enterprise. Updated navigation on Android: The navigation menu has moved from the right to the left side of our Android app to be consistent with system standards. Plus, we’ve made it easier to find features like sort view/view switching. Updated Quick Add on iOS: It’s now easier to add work into Asana in our iOS app through OCR (Optical Character Recognition) technology. You can convert photos of handwritten or printed text, such as whiteboard or post-it notes, into a text format that is editable and searchable in Asana. Changed “Copy” to “Duplicate”: Actions that use the term “copy” have been replaced with “duplicate” to avoid any misinterpretation or confusion between you and your team. Member count on billing page: You can now view how many members your Organization has directly from the billing page, so you can select the plan that is best for you. Drag multiple tasks on Boards view: Press command and select multiple tasks on your board to drag them across columns. Timeline task names: Task names now follow you as you scroll horizontally in Timeline, so it’s clear what tasks you are looking at as you navigate. Blocked task indicator: Tasks that are dependent on another task will now show a visual indicator in your projects and My Tasks so you can quickly see what can get started and what’s blocked. Advanced search by Board column: Use advanced search to find tasks in specific columns of your Boards projects. Improvements to CSV importer: You can now add custom fields and subtasks from the CSV importer, so you can quickly set up your project with all the information you need. Learn more. Start dates on recurring tasks: Start dates now get automatically generated on recurring tasks if the original task specified a start date. Comment-only version of Project Member Dialog: If you are comment only on a project, you will now see a project member’s dialog that shows who has edit access to the project and gives you the abilitiy to adjust your notification preferences. Notification center copy changes: We’ve made it easier to find and understand your notification settings, so you can customize how you receive information in Asana. Photo markup on iOS: With markup you can draw, doodle, or place text on any photo before you add it to Asana. Try the Asana iOS app. Rich text support on iOS: Quickly create bulleted and numbered lists with indentations from within the mobile app. Improved task edit on iOS: Tap to edit different sections of the task details to streamline how you update tasks. Clarified Product Navigation: To help you manage your work in Asana, we’ve made some layout and user interface (UI) changes. You can now access My Tasks, Inbox, and Dashboards from the sidebar, and the top bar has been simplified so the project header is easier to navigate. Also, the search bar and Quick Add + button are now in the right side of the top bar next to the Help menu. Learn more. Typeahead style update: When you use search, add tasks to multiple projects or add followers, the results are shown in a cleaner,compact style so it’s easier to find the information you need. Add followers from Quick add: You can now add followers to a task when you use the Quick Add + button to create a task in Asana. Indent bulleted and numbered lists in rich text: It’s now easier to format your bulleted and numbered lists with the indent rich text menu option so you can highlight important information and add structure to your task descriptions and comments. Restrict Guest Invites: Enterprise Admins can now set a policy for who is allowed to invite external guests into their Organization. They can set the policy to only admins, admins and members, or anyone. Access PDF of last invoice: Admins can now access their more recent invoice in the Billing tab of their settings menu. New icons: You might’ve noticed some new icons in Asana—they’re now more visually consistent across the app. Updated celebration characters: Our celebration characters are updated! To see them, go complete a task. Learn how to turn on the celebrations. Task edit on iOS: We’ve updated the task design in the iOS app, making it easier to update tasks—so you can spend less time editing, and more time completing them. Inline task shortcuts on Android: We’ve updated inline task creation to include assignee, due date, and attachment shortcuts. It’s also now possible to expand the inline task creation view to add a description and subtasks. This is already available on iOS. Updated comment composer for iOS and Android: It’s now even easier to comment on work when you’re on the go with our updated comment composer onr mobile. We’ve added hotkeys to comments so you can quickly tag teammates, take photos, or upload existing images from your mobile device directly into Asana. Search in the API: Our API team built an endpoint that mirrors the functionality of Advanced Search in the web app. Learn more. Support for PayPal: You can now pay for Asana Premium and Enterprise with PayPal. Just select this payment option on the billing page. Links in custom fields: You can now track links in custom fields (make sure they’re text fields). When you click the icon in the field, the webpage will open in a new window. Learn more. Approvals: It’s now easier than ever to track the status of tasks. With recent upgrades to custom fields and Asana-created project templates, you can manage your approval process in Asana. Learn more. Full screen view for attachments: Now when you select an attachment from a task, the image will appear in a full screen view. Quickly rotate through multiple images without opening a new tab or leaving Asana. New keyboard shortcuts: New keyboard shortcuts are available to save you time navigating to Inbox and My Tasks. Click “tab + I” to go to Inbox and “tab + Z” to go to My Task. Learn more. Copy multiple task URLs: The task pane has a link icon in the header to copy the task’s URL. Now this same button is available in the multi-task pane when more than one task is selected, so you can copy multiple task URLs at once to share with teammates. Task pane changes: It’s now easier to complete tasks and take important actions like attaching files and creating subtasks in the redesigned task pane. Learn more. 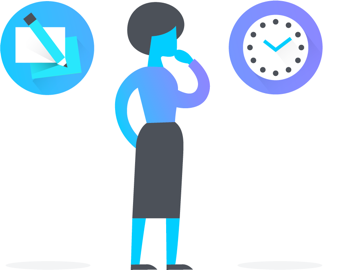 Admin control over integrations: Admins within Asana Enterprise now have the ability to block and whitelist third-party integrations at the Organization level, so you have more control over your organization’s usage of Asana. Learn more. Removed mobile indication for mobile comments: The mobile icon has been removed from comments posted from the Asana mobile app. This ensures you can work from your mobile device without your communication in Asana feeling (or looking) any different than it would in the web app. This was previously available on iOS and the web app, and is now Android as well! Inline task creation on iOS: Inline task creation on iOS now includes assignee, due date, and attachment shortcuts so you don’t have to edit the task to add this information. And you can now expand the inline task creation view to add a description and subtasks. This will also be available in Android soon. Learn more. Edit comments on Android: With this update, you can now edit your comments after they’re posted in our Android app, just like in the web and iOS apps. Reordering subtasks in the API: You can now reorder subtasks directly in the API. Learn more. Editable stories in the API: You can now edit comments directly through the API, just like in our web and mobile apps. Learn more. New Asana for Slack integration: With this new version of the integration, your team can get Asana updates in Slack, take action on those updates, and even turn Slack messages into Asana tasks or comments—without leaving Slack. Learn more. Drawing dependencies on Timeline: Planning your projects in Timeline just got even easier. Now you can draw dependencies between tasks directly on Timeline. Simply hover over any task and select the connector to draw dependencies between tasks. Learn more. Project start dates: You can now add project start dates in the Progress tab so your team knows when your project began. Learn more. Emojis in custom fields and task and project names: We know you :heart: emoji’s, and now you can use them everywhere in Asana. Use your favorite emoji to differentiate task or project names and add them to custom fields. Relative date display: Timestamps in task comments are now displayed as an approximate age, rather than a date and time so it’s easier to quickly identify how long ago a comment was posted. Miss the details? Just hover over any timestamp to see the full date and time. Personal pronouns in Profile Settings and your profile card: Sometimes your name and role aren’t enough for others to refer to you—pronouns are an important part of that equation. To help ensure your teammates are addressing you how you’d like to be addressed, we’ve add a pronouns field to your profile. To specify your pronouns, go to My Profile Settings and enter your pronouns. They will appear in your profile card. We hope this small, but important update, will lead to more effective communication overall in Asana, and help build a more inclusive workplace. Learn more. No mobile indication for mobile comments: With this update, there is no longer a mobile icon alongside comments that are posted from the Asana mobile app. This ensures you can work from anywhere on your phone or mobile device, without your communication in Asana feeling (or looking) any different than it would in the web app. This is now available in iOS and the web app, with Android coming soon! Status updates require color: When you set a status update for a project, you now must specify a color of green (on track), yellow (progressing but some risks), or red (at risk and needs attention) so your team knows how your project is progressing. Learn more. Divisional Admin Console for Enterprise: Divisional Admins now have access to a dedicated Admin Console where they can manage members, view their teams, and see their plan. This is only available to Divisional billing owners and is a part of their Premium Division. Actionable messages in Outlook: You can now take action on Asana email notifications right from Outlooks. These actions include: view in Asana, set due date, add a comment, and mark complete. Learn more. Edit comments on iOS: With this update, you can now edit comments in our iOS app, just like in the web app. Android is coming soon! A faster Asana on mobile for international customers: If you use a non-English version of the Asana mobile app, your mobile experience is now faster because you’re now using a new API. Team Drive now available from the Google Drive integration: The Google Drive integration allows you to easily add files to tasks, and now the integration includes Team Drive in addition to your personal drive. Learn more. Rich text formatting: It’s now easier to format your text, add emojis, create lists, and link to other work in Asana with a new rich text formatting menu. The menu will appear at the bottom of all task descriptions and comments. Learn more. Two-year zoom on Timeline: For longer projects, you can now zoom out on Timeline to a two-year view of your plan. Create a task with Quick Add: Now when you use Quick Add to create a task, the dialog box will appear in the bottom right of your screen so you can reference other information in Asana while creating the task and work on multiple task drafts at once. You can also minimize drafts while you do other work so it’s easy to come back to them when you’re ready to finish them up. Attach multiple files on iOS: You can now select and upload multiple attachments to your tasks and conversations at once from your iOS device. Hang tight Android users, this feature will be available to you soon. Improved Chrome Extension: We’ve upgraded our Chrome Extension so you can add tasks to Asana from any website. Download the extension to start creating in Asana from any webpage. Custom fields in the API: Developers can now see, add, remove, or modify custom fields in our API. Timeline: With Timeline, you get a beautiful living view of how all the pieces of your projects fit together, so you can start off on the right foot and hit your deadlines. See how Timeline fits into our product vision. Edit comments in tasks: You can now edit comments in tasks after you post them so you can fix those pesky typos. To edit a comment, click the drop down arrow next to it, and select Edit Comment. Jumbomojis: Now when you write a comment containing only emojis, they’ll show up “jumbo” size if there’s three or less. Improved security for emails forwarded to Asana: We’ve strengthened the sender authentication requirements for adding tasks, comments, and conversations to Asana via email, so it’s now more difficult to take unauthorized actions as another user in Asana. Team guests counts toward member limit: When you add a guest to your team, they will now be a “Limited Access Member” that counts towards your team member limit. Batch API: To make it easier to develop on our API, you can now perform multiple “actions” in a single HTTP request. Learn more about building on our API. Task dependencies in the API: Developers can now add, remove, and see task dependencies in our API. Spanish and Portuguese: ¡Hola! Olá! Asana is now available in Spanish and Portuguese. The full Asana app and website, including the Guide, are fully translated. To change your language in Asana, go to your My Profile Settings and select Display. Learn more. Paste images from clipboard: When you need to share an image with your team, you can now simply copy and paste it* into a comment and your image will be attached. A link to the image will also be added as a comment in the task, conversation, or status update. Less steps means time saved! *Available for Chrome, Firefox, and Safari at this time. Tasks keep link to other projects in custom templates: A small but important update has been made to custom templates. Now tasks also stay linked to the other projects they live in when you create a new project from a template. Lock icon on private projects: A lock icon now appears next to the project name if the project is private. Learn more about private projects. Prioritize tasks in iOS: You can now mark tasks assigned to you for Today, Upcoming, or New, directly from your iOS device so you can prioritize work when you’re on the go. Improved views in iOS: You can now sort tasks in projects by custom fields in addition to assignee, due date, likes, and alphabetical. And when you save a view in the web app, that view will also appear in the mobile app. New task list in iOS: The task list in our iOS app is new and improved, so it’s easier to visualize your work and quickly take the actions you need. Tasks in 20 projects: To help ensure your Asana experience remains fast, now you’ll be able to add tasks to a maximum of 20 projects. Existing tasks that are in more than 20 projects will not be affected, but you won’t be able to add them to more. Custom fields on boards: Custom fields now appear on task previews in your boards projects so important information is front and center—such as status, priority, cost, or channel. Quickly scan your project so you can see where work stands, find what needs your attention, and make sure nothing falls through the cracks. Custom fields are available for Asana Premium. Learn more. Comment-only boards projects: We recently released comment-only projects and now you can change your project access on boards, too. Create comment-only projects for work you want to share with a lot of people but only a few need to contribute to, such as company goals, your product roadmap, or launch plans. This way, your teammates will have the information they need to do their jobs, and you can safeguard against unwanted edits or accidental changes. Comment-only projects are available for Asana Premium. Learn more. CSV importer: Import your spreadsheets right into an Asana project so you can begin managing your projects in a collaborative, flexible tool with just a few clicks. If you use Excel, Google Sheets, Smartsheet, or want to move Trello projects into Asana, these spreadsheets can easily be converted to a CSV file, and then imported. Learn more. Reports: All customers will now see a Reports section in their left sidebar with search results such as tasks I’ve created. In addition, Asana Premium customers will see new and existing custom saved searches under this section. Learn more. Disable Inbox notifications for today’s tasks: Stop receiving notifications in your Asana Inbox for tasks starting or due today with this new hack, so you can more quickly scan your Inbox. Go to My Profile Settings and select Hacks to disable these notifications. Please note, hacks are experimental features that we’ve been tinkering with. They’re not supported features and may change, break, or disappear at any time. New button styles: We’ve made some visual updates to our buttons so they’re easier to use. New date picker on mobile: Quickly set a start or due date in our mobile app with the newly designed date picker. Start dates are available for Asana Premium. Get Asana for iOS or Asana for Android. Share to Asana for Android: Now you can easily add work to Asana with the Share to Asana option for Android. When you’re in another app, tap the Share menu to create a task in Asana. Learn more about Asana for Android. Status updates for iOS: Share an update on the status of your project with your team so everyone’s in the loop right from your iPhone or iPad. Learn more about Asana for iOS. New Employee Onboarding template: When new employees join your team, use this Asana-created template to ensure they have a smooth start. Track required paperwork and to-dos, and give new employees all the information they need to be successful in tasks. To use the template, navigate to the Templates tab in the new project screen, and then click Use Template next to New Employee Onboarding. Mobile link improvements: When you tap an Asana link from your email or Slack message on your mobile device, you will now be taken directly to where you want to go in Asana so you can get to work faster. Sort tasks on Android: You can now mark tasks for Today, Later, or Upcoming in your My Tasks on Android. Comment-only projects: With comment-only projects, you can share more work with more teammates, and feel confident that information will stay accurate—with no accidental changes or edits. 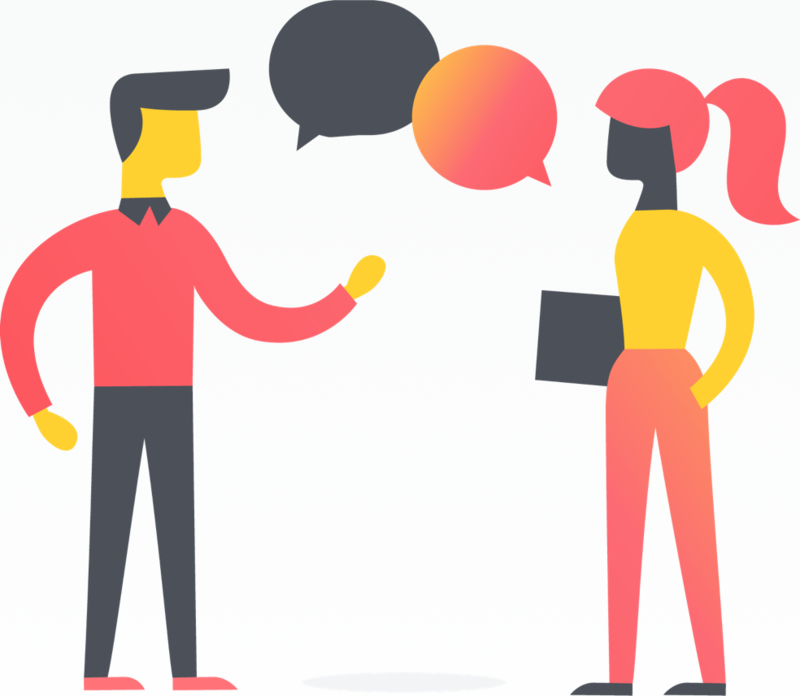 If you’re using Asana Premium or Enterprise, you can start creating comment-only projects today. Learn more. Siri integration: Asana and Siri now work together on your iOS app to ensure you can easily add your to-dos, reminders, and work to Asana from anywhere. Whether you’re between meetings, out for coffee, have one last idea before bed, or simply don’t want to type—Asana and Siri keep good ideas moving forward. Learn more. Asana is now available in French and German: We’re excited to make Asana easier to use for teams all over the world. We rolled out the entire Asana experience in French and German, and Spanish and Portuguese will be coming early next year. Learn more. Performance improvements: In August we announced Asana is 2x faster. Since then, we’ve been working on even more speed improvements. Now projects and My tasks sort faster in all possible views, and pages load faster so you can access your work more quickly. Updated Team Overview: When you select Team Conversations from the sidebar, you’ll be taken to a revamped Team Overview page where you can easily add project templates for your team. Simplified project header: We simplified the project header so it’s easier to find the action you need to take. Start dates: Not all tasks are created equal—and some pieces of work simply take more time. 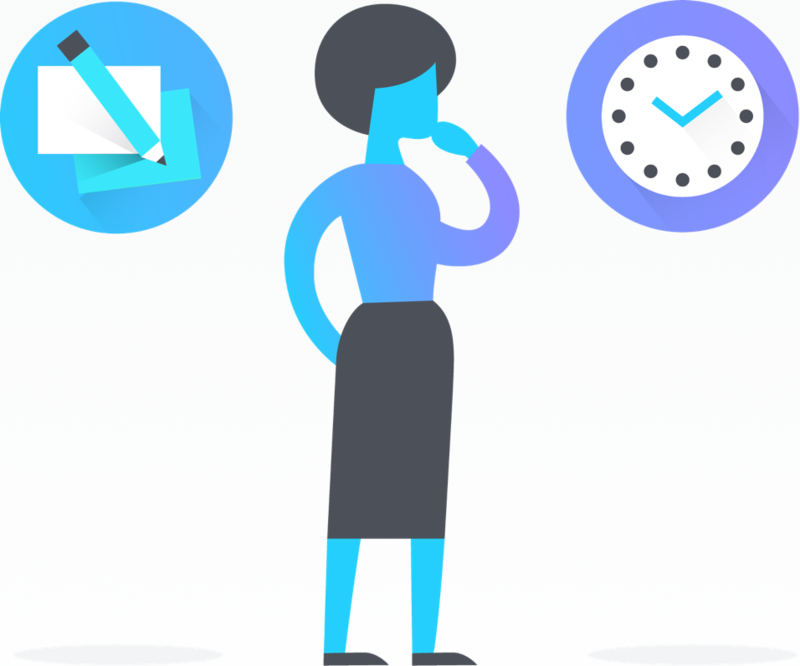 Knowing when to start is just as important as knowing when work is due, and now you can add start dates to tasks if you’re using Asana Premium. Start dates help you allocate enough time for work, so you can hit deadlines stress free. Learn more. Gmail Contextual Add-On: Asana for Gmail is now available in the G Suite Marketplace. With this integration, you can turn your emails with clients, customers, and teammates into actionable tasks in Asana—without leaving your inbox. Learn more about connecting Gmail and Asana. Mobile calendar: Based on your feedback that Calendar View is important for working on the go, we’re excited to announce calendar is now available on your iOS (including iPad!) and Android devices. New in-product illustrations: We’ve given some of our in-product illustrations some TLC, so it’s easier to understand what’s happening in the product. New filter icon: When viewing a project, you will notice a new icon in the top right corner of the main pane. Instead of a gear, you will now see a filter icon that allows you to change the project view and update custom fields. Quick replies in tasks: Let task creators know you saw the task and you are working on it. You’ll see the option to add quick replies next to the comment box on tasks assigned by a teammate, that have not been commented on yet. 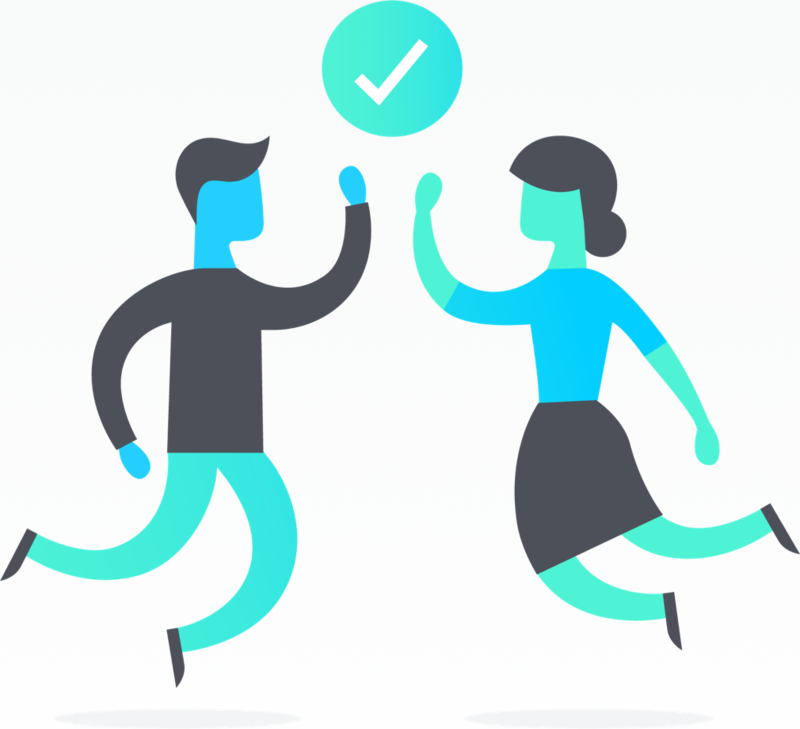 Improved performance: We’re continuing to work on the performance of Asana. Since our announcement that Asana is 2x faster, we’ve made more improvements to the time it takes Asana to load, the speed of sorting in My Tasks and projects, and the speed of scrolling through your My Tasks and projects. New Project members dialog: It’s now easier to add and manage project members in the redesigned project member dialogue. To update member settings, just click the + button in the project’s header. Improvements to merging subtasks and setting dependencies: You’ll now be notified that you cannot mark a task as a duplicate of its subtask, since this action cannot be taken. Also, since tasks cannot be dependent on each other, tasks that are already waiting on the selected task have been removed from the list of dependency options. Add project members in Progress View: When you share a status update for your project, you can now easily add new project members so they can see what’s happening and receive future updates. Redesigned keyboard shortcut menu: Curious how to do common actions in Asana quickly? The redesigned shortcuts menu makes it easier to see how you can do more, with less clicks. To get to the menu, click on Help in the top right of the app, then select Keyboard Shortcuts. 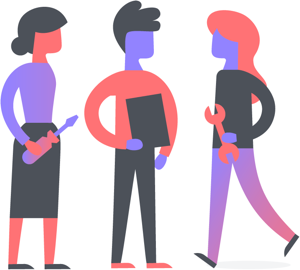 Likes: At Asana, we believe in building a product that’s useful for all teams, no matter the culture or environment. And while our team had a lot of love for hearts, many customers told us that hearts weren’t widely understood or appropriate in every workplace. We learned that likes are a more universal symbol of appreciation. And we’re all about sharing team appreciation. Now you can like comments, tasks, updates, and more to give a quick “thanks”, “got it”, or “good job” to your teammates, in a way that’s inclusive for all teams. Improvements to copy task: When you copy a task from your My Task list, you will now automatically remain the assignee of the task. Asana loads faster: When you initially open Asana, the app should load much faster so you can start the day strong and jump into work. New Microsoft OneDrive + Asana integration: Keep all your work and files together in Asana. Now you can upload any of your OneDrive documents—just connect your OneDrive account. Domain export from API (Enterprise): For admins or others monitoring company data in the cloud, they can now automatically generate backups and exports of Asana data on their own system. This makes auditing and reporting on Asana data easier than ever before. “Meet” your teammates: Anywhere you see someone’s profile photo, you can hover over it to see their photo, role, team, and more. Refined color palette: We gave the app a fresh coat of paint to make it easier on the eyes and so everyone can see the same pops of color on any Asana page. Simplified dropdown menus: We made adjustments to certain menus to make the most popular actions easier to take and find. Anytime you see a caret or ellipses, click for more options. Quickly add yourself: Type “me” into various type-aheads to more easily add yourself (e.g., as the task assignee or as a follower) to searches, tasks, projects, etc. in Asana.